Today I'm giving a nod to graduates everywhere and the class of 2016 — whether it's from preschool, kindergarten and elementary school on up. They've worked hard working on their hopes and dreams to reach this milestone. Congratulations to you all! My favorite color combo. Love the big tag. Fab card, Lisa, so classy with the colors you've used! 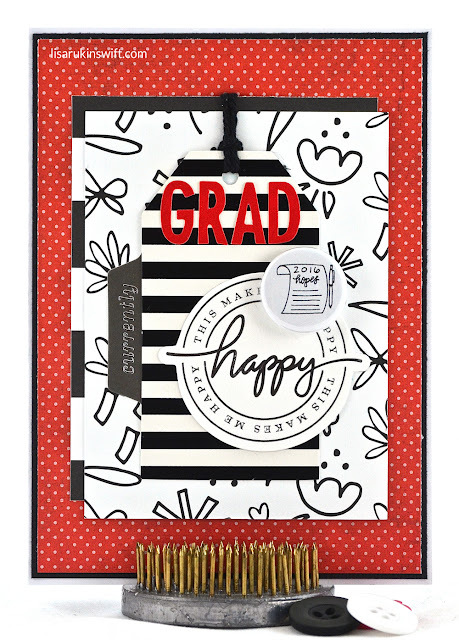 Awesome details, and the striking black and white with the red, and the awesome pattern papers you used make this a card to remember!! Hope you are having an awesome day! !